I haven't been keeping up with as many Workout Wednesday's this year as I would like to, but when I saw some comments about the week 38 challenge, I thought it would be one I could get done quickly. The challenge comes from Ann Jackson and the idea is to build a dashboard where the users can pick and choose what they see. 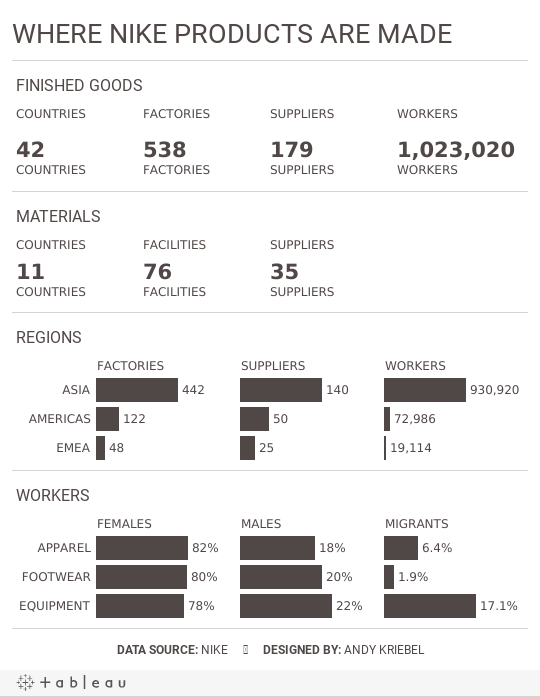 This is such a practical use case for anyone building dashboards. 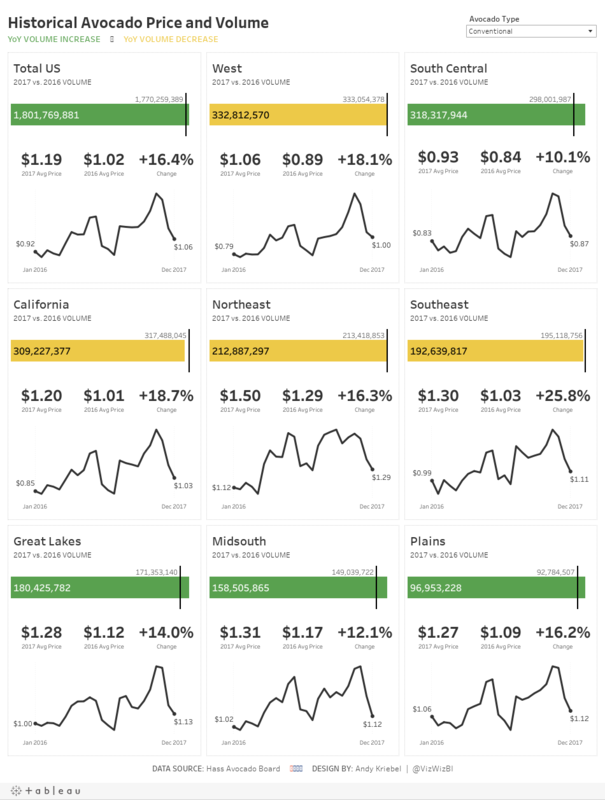 One of my absolute favorite things about Tableau is that not only is it a fantastic data display tool, but it is amazing at data exploration and discovery. While you’re in the flow of analysis there are tons of built in features that provide you feedback, awareness, and insight into your data. Everything from displaying the number of marks on a sheet in the lower left corner (along with the sum of a measure) to exposing the worksheet summary card. You can customize it to show you so many options and it’s one of the first tools I use when getting hands on with new data. I thoroughly enjoyed this challenge and will use it going forward as a challenge in the Data School. Click on the image below for the interactive version. 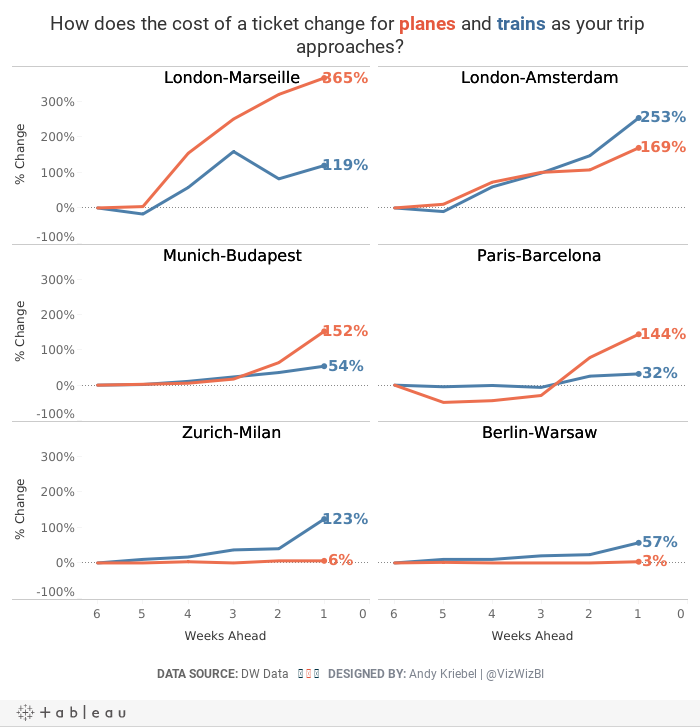 Makeover Monday: How does the cost of a ticket change as your trip approaches? I don't mind the original too much other than I feel like it's missing some context. I decided to basically recreate the chart, but show the change in price as the days got closer. 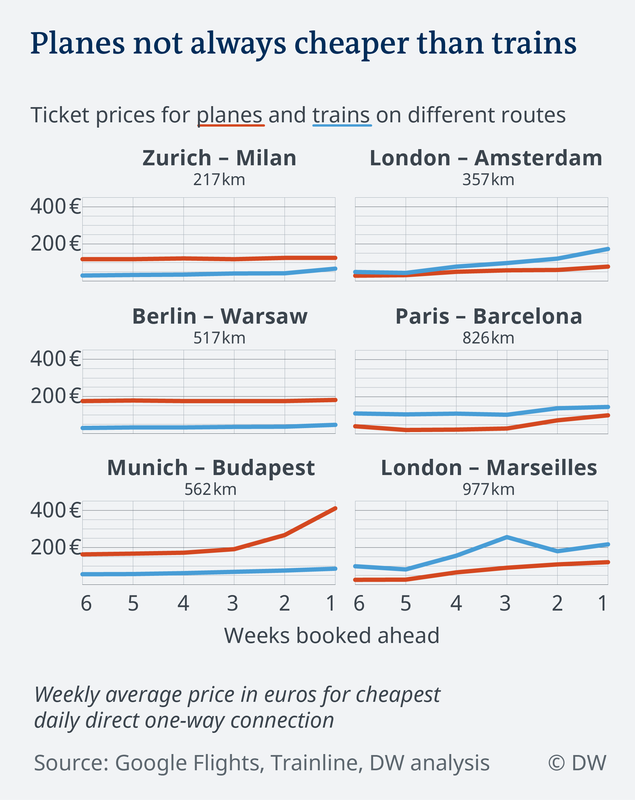 For me, this helped show how much more expensive tickets will be if you wait until the last minute. is active - process of engaging and manipulating objects, experiences, and conversations in order to build mental models of the world (Dewey, 1938; Piaget, 1964; Vygotsky, 1986). Learners build knowledge as they explore the world around them, observe and interact with phenomena, converse and engage with others, and make connections between new ideas and prior understandings. builds on prior knowledge - and involves enriching, building on, and changing existing understanding, where “one’s knowledge base is a scaffold that supports the construction of all future learning” (Alexander, 1996, p. 89). is situated in an authentic context - provides learners with the opportunity to engage with specific ideas and concepts on a need-to-know or want-to-know basis (Greeno, 2006; Kolodner, 2006). requires learners’ motivation and cognitive engagement to be sustained when learning complex ideas, because considerable mental effort and persistence are necessary. I've left a couple bits out that aren't relevant to learning in the context of data visualization, but all of the others should resonate with you if you approach learning with the correct mindset. As an example, I am actively look for reasons to practice features in the Tableau 2018.3 beta, especially around density mapping. I was reading an article this morning about Clayton Kershaw, whom many consider the best pitcher in Major League Baseball. He also has highest base salary at $33M for 2018. Most of the density maps I've seen have had a mapping component. In the case of baseball, and pitching in particular, the spatial zone is the strike zone. Data is easily accessible to get the coordinates of every pitch as it crosses home plate. is active in that I am building my knowledge as I explore the data set and learn the new features. builds on my prior knowledge of how the feature works and my knowledge of the game of baseball. However, I had never done a scatterplot of pitching before, so I had to learn new terminology in the data. This knowledge will help me be more productive and learn faster in the future. is situated in the authentic context of engaging with the ideas and visual concepts that I saw online and drew on paper. required my motivation and engagement to see the project through to fruition and the persistent to make the display visually accurate. I hope my thought process helps you focus your learning. I love helping people get better at what they do and if I can help you speed up your learning, then we'll all be better for it. With that in mind, here are two images I created for this project. The first is all pitches by Kershaw and the second is of his curveballs, which is known to be his most potent pitch. Once Tableau Public supports Tableau 2018.3, I'll publish them and include links on the images. 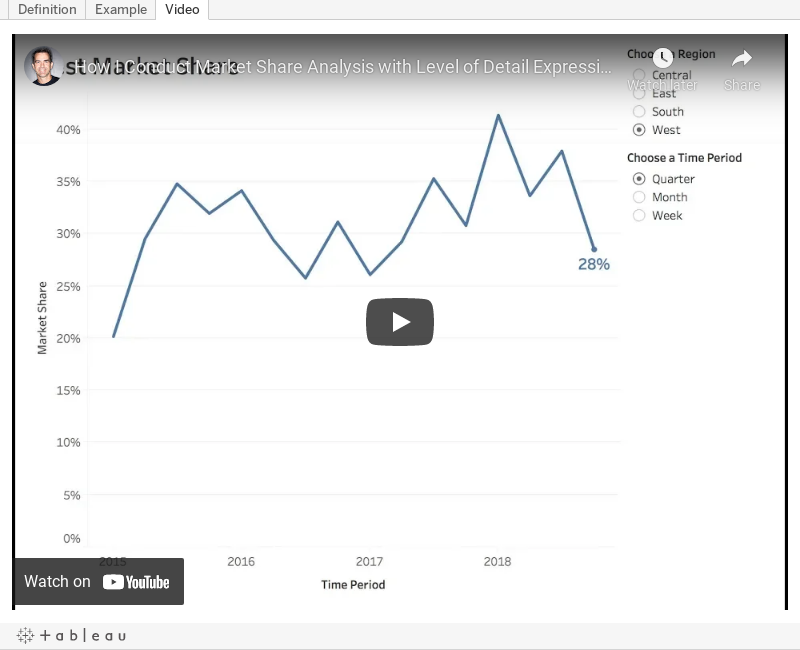 In this week's tip, I show you how to do market share analysis with Level of Detail expressions. In this video, I show you the calculations, then I expand it to make it more dynamic using a parameter. 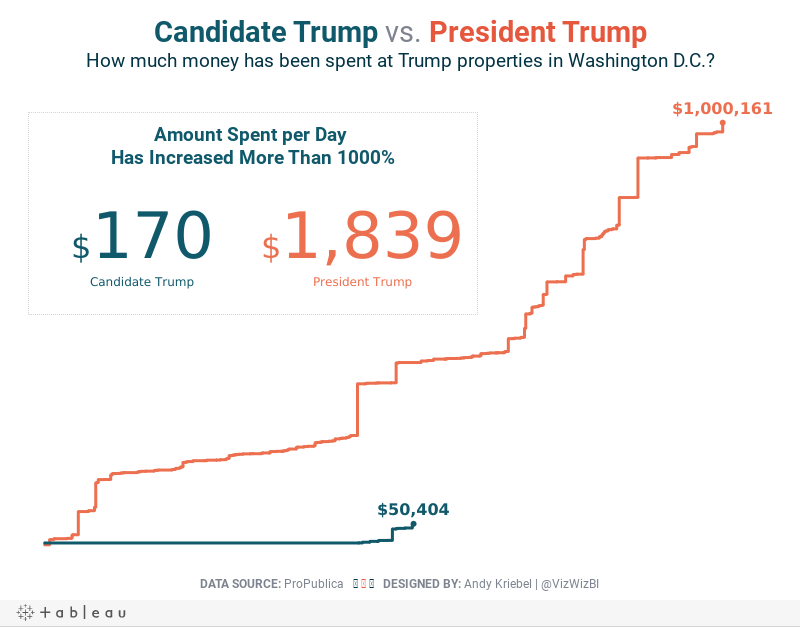 Makeover Monday: Spending at Trump Properties in Washington D.C. Since Watergate, presidents have actively sought to avoid conflicts between their public responsibilities and their private interests. Every president since Jimmy Carter sold his companies or moved assets into blind trusts or broadly held investments – until now. Donald Trump never did this, despite his expansive holdings. He stands to gain personally when groups pay his companies. Provides the user the ability to ask "How does this affect me?" I explored the data quite a bit, before focusing on Washington. I did this because I saw a large increase in spending after Trump was elected. The summary card on the right is packed full of information and as you zoom, you get different levels of detail. Keeping the map a single color allows you to focus on where the factories are located. Overall, everything is simple and clean. Make it easier to identify the smaller countries, possibly by outlining the countries with a white border. 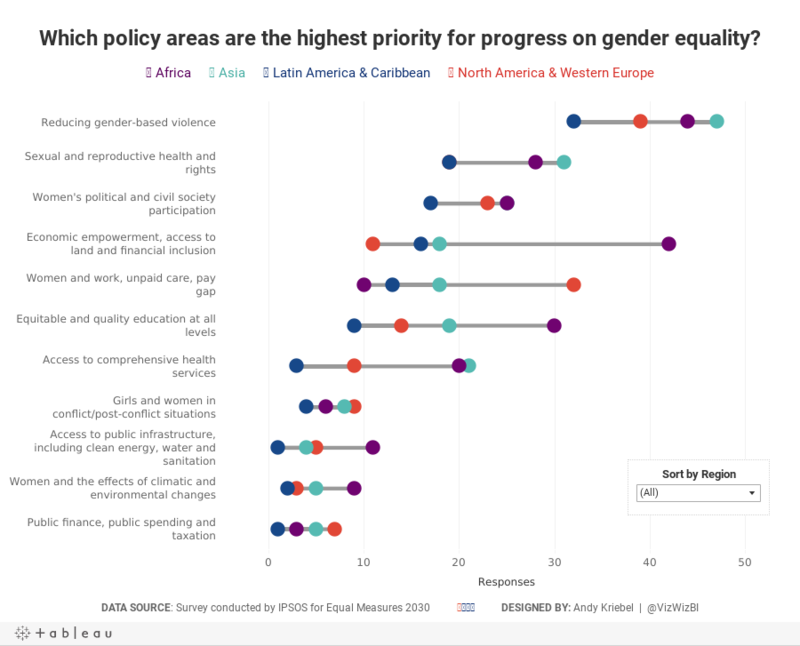 This is a pretty simple viz this week and I really enjoyed making it. It's almost like a report card.